Samsung Galaxy S III launch hit by delays | What Hi-Fi? Samsung's Galaxy S III smartphone was officially supposed to go on sale in Europe today. But our sister site Stuff.tv is reporting that customers who've already ordered the phone can expect delays. Samsung says it has received a staggering nine million pre-orders of the device. One of Stuff's readers has just reported receiving an email from Vodafone telling him to expect a wait of a fortnight to a month before getting his new smartphone. It is, Vodafone says, the fault of Samsung which is having issues with shipping. 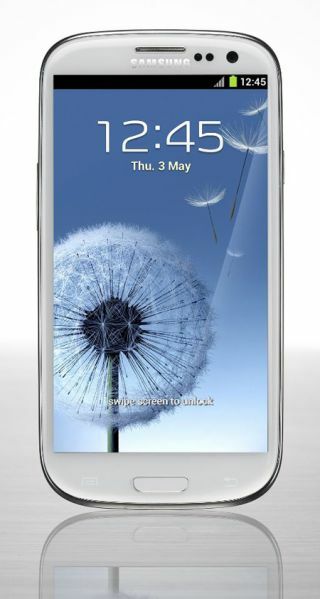 Samsung has confirmed a delay on the blue Galaxy S III that could take some time and a shorter wait for the – also delayed – white 32GB model. "Samsung's Galaxy S3 Pebble Blue version comes with a newly invented blue colour and special hyperglaze material," says a statement from the electronics company. "In order to meet the highest internal quality standards and to provide the best quality Galaxy S3 to customers, a short supply of the Pebble Blue version is expected in some regions in the next two to three weeks." Originally the Galaxy S III was supposed to go on sale in 28 countries today (May 29th), including the UK, and Samsung intended to have the phone on sale in 145 countries worldwide by July. If you missed out on the unveiling of the Galaxy S III in London earlier this month, read our blow-by-blow account here. And you can read our first impressions and watch our video hands-on in this special blog. We'll be bringing you a full-blown review here on whathifi.com shortly. And the July issue of What Hi-Fi? Sound and Vision, on sale this Friday (June 1st), includes a Supertest of nine of the latest smartphones.